This fantasy sword creation combines the unique beauty and danger of Dragons to make a weapon worthy of the lore. The cast metal pommel shows a Dragon in mid-scream, red tongue and fangs exposed, with horns and scales bristling. A curved cast metal guard is lined with threatening talons. 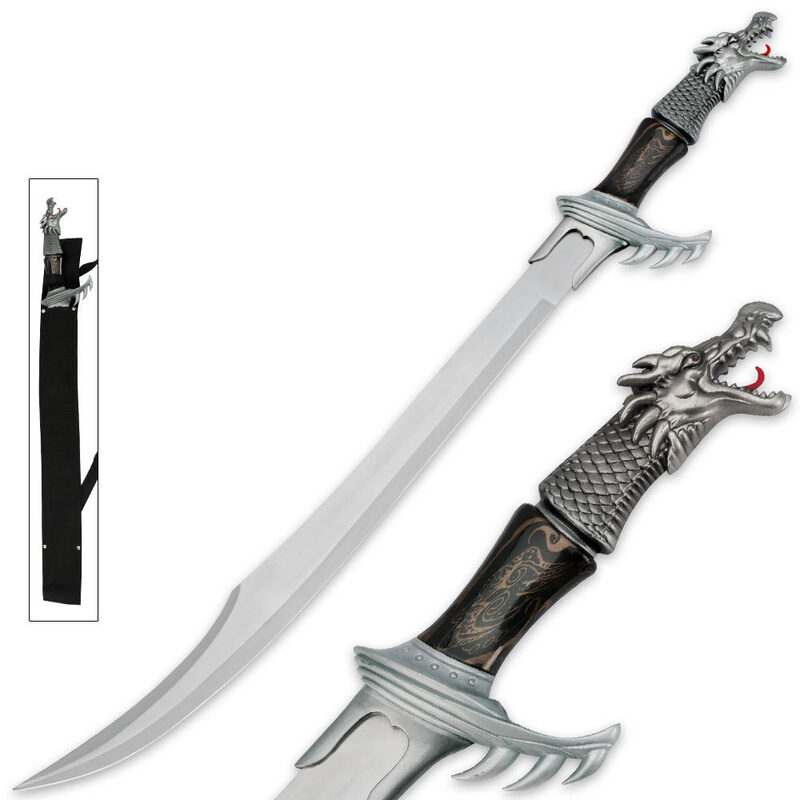 A scimitar blade extends outward from the handle as if to complete the body of the Dragon that inspired this build. Other features include a 440 stainless steel blade, synthetic handle grip with enigma pattern, and a black nylon sheath with shoulder/back strap. Measures 32 1/4 in. overall.